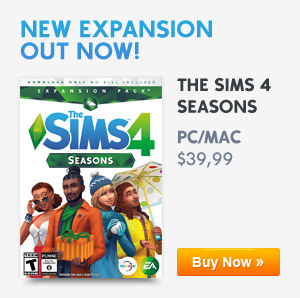 Origin Weekly Sale: The Sims 4 Luxury Party Stuff Is 50% Off! The Sims 4 Official Community Survey: January 2019! The Sims 4 Console: Bundle 4 Is Now Available! A Simmer Releases An Concept Art That Shows All The Worlds In One Map! Origin Sale: The Sims 4 Toddler Stuff Is 50% Off! The Sims Mobile: The Winter Warm-up Event Is Now Live! Origin Sale: The Sims 4 Movie Hangout Stuff & The Sims 4 Romantic Garden Stuff Are 50% Off! The Sims 4: New Renders!